We use trenchless technologies to complete any pipe or sewer repairs. We can finish jobs quickly and leave behind less mess, costing you less. 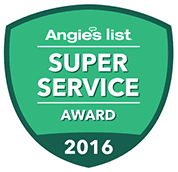 With 20 years of experience, we have completed over one thousand trenchless repairs and have the know how to get your pipes fixed right. We are rated 4.9 out of 5 stars from more than 48 reviews! Established by John Rodriguez, Rooter Drain Experts is a family owned and operated business. In fact, John actually started in the industry assisting his father while still a young boy. John’s father learned from his father and now John is passing on the family knowledge to his son – the 4th generation of family members involved in this California business. 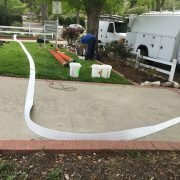 Based in Canyon Country, California, Rooter Drain Experts provides trenchless sewer repair service to the entire region. 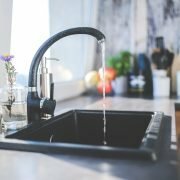 If you live in the San Fernando Valley, Canyon Country, Santa Clarita, Valencia, Newhall, Saugus or any of the surrounding communities, we can help with your sewer and plumbing problems. With a regular drain cleaning program, you can be assured that slow drains anywhere in your building will be a thing of the past. In fact, having your drains cleaned regularly is good preventative maintenance. It also makes good sense. If you keep your drains clean, they won’t cause you any expensive problems later. 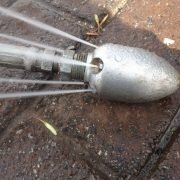 We can clear your drains in several ways, but one of the fastest and most environmentally friendly methods is hydro jetting. That’s when we send a hot blast of high-pressure water or steam through your sewer lines. Hydro jetting clears away even the toughest clogs like tree roots. It’s what we use to clear the drains of our homes! 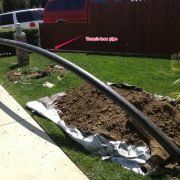 This sewer pipe lining technique is designed to offer a very effective and hassle-free means to repair damaged sewer pipes in residential and commercial buildings. Unlike traditional sewer pipe repair methods, there is no need to dig trenches or remove damaged pipes. We specialize in different methods of trenchless sewer repair and replacement; one of which is trenchless pipe bursting. It replaces your old pipes without having to remove it. This prevents the need to excavate the entire length of the pipe to be replaced, thus saving driveways, time, and money for the homeowner.